Welcome Euclid Panthers and Panther Families! We are very excited to complete another year of change, growth, and success with your children! At Euclid High School we strive to provide relevant, rigorous instruction in every lesson, to every student, every day. 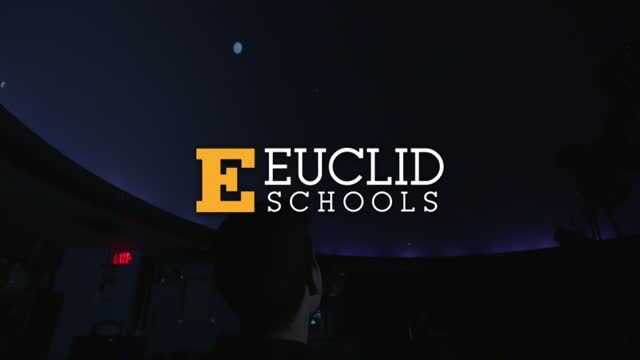 The mission of Euclid High School is to nurture the cognitive, physical, social, and emotional development of its students, by providing high-quality curriculum and instruction in a positive learning environment. Our mission is to educate and graduate students with the knowledge, skills, and attitudes necessary to become productive, informed citizens of a diverse society. The students of Euclid High School are provided with numerous opportunities to be challenged as they learn through rigorous high school courses, including career and technical education courses and college credit courses (CCP). As part of our requirements, students are expected to have four years of English, four years of math, three years of science, and three years of social studies. Students will also choose from a wide variety of elective courses such as engineering, robotics, music, art, foreign language, child development, and personal wellness. We have approximately 2100 students in grades 8-12, and we use a seven-period schedule with every student given the opportunity for intervention and enrichment daily from 2:00-2:15 PM. I welcome your involvement as we work to provide the best possible education to the students of the Euclid community. I encourage you to contact me with your ideas, suggestions, and concerns.